Students can profit from a number of benefits in Germany. Our "Kulturscheckheft" is given out every year to first semesters/freshman and boasts a collection of discounts and vouchers. The various benefits are made available for you with the help of the "Hochschule Darmstadt" and the "Kulturamt" of the city of Darmstadt. The international student card can also be used for a number of different discounts for events, pubs and bars, food, art and exhibitions, and travels. Below we have gathered some of the local and regional benefits for students. It is important to carry your valid student card with you. An online-search with the search terms "benefits+students" might give you some additional information. In addition, we offer snacks and special offers in our cafés that are dotted around the campus. The beergarden "Lichtwiesn" is beautifully located and food and drinks are low priced. An ideal place to meet in the summer with friends and fellow students. foodsharing Darmstadt has "fairteiler", where you can pick up or drop off food. Principal of the "Foodsharing-Fairteiler". Please take care of hygiene and make sure that the food is in good condition. There are "fairteiler" on every campus of the three colleges/universities in Darmstadt. at the h_da: Schöfferstr. 8 building D13, ground floor, opposite of the library. Students of the TU Darmstadt and the h_da can visit the state theatre in Darmstadt for free. Entrance fees for museums and theatres are cheaper for students in general. Sport: there is a comprehensive set of offers from the UniSportZentrum. Students can use a lot of offers for free or at reduced rates. Cinema: the Studentische Filmkreis has a great set of movies every semester. If you are looking for an even greater selection the cinemas in Darmstadt have a variety of movies on offer (especially the kinopolis has some screenings with contemporary movies in English). Tuesday is cinema day and you can view movies at reduced prices. We also promote cultural events that are offered from students for students. Financial aid is available at Kulturförderung. Getting cash: inform yourself beforehand about how you are able to get cash with a specific bank account. Some banks have cooperations with supermarkets or gas stations, which will give you further options to local ATMs. Most banks will have an option on their homepage that will show you the closest possibilites to get cash. 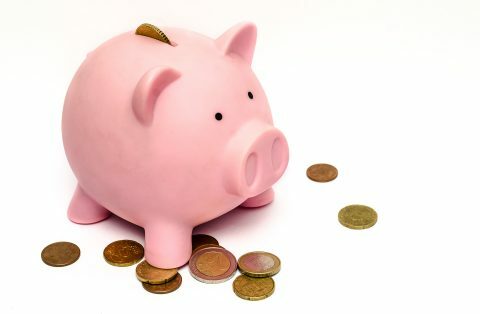 if you are taking out more money than you have on your account the interest can be extremely high - sometimes 13% - and should therefore be avoided. if possible do not use ATMs that are not connected to your bank as you will have to pay several euros for every withdrawal. Many providers have special offers for students. Shared living is ideal for having a single account for the entire flat. There is a special rule if one of your flatmates is eligible for BAföG. students can get better offers for notebooks and software. Furthermore, the universities/colleges can help you obtain software for free or at reduced rates. Ask your student representative or check with the technical department of the respective university/college. the association Computerwerk Darmstadt has an open workshop for electronics and gifts repaired devices to students in need. Participation and donations are very welcome. Shared living is advantageous, when it comes to TV and radio fees, as the costs can be shared among the flatmates. This does not work for rooms located on the same floor, however. If you are eligible for BAföG you can request that you do not have to pay the fees. You can also have a look at "free your stuff"
Your bicycle can be fixed for free in the Fahrradwerkstatt of the AStA. There might also be a possibility to acquire a bike if you have not gotten one yet. the AStA of the TU Darmstadt cooperates with book-n-drive. After you have applied succesfully for the service you can open the reserved cars with your "Athene-Card". a lot of other rental companies have special offers for students. renting cars on weekdays is often significantly cheaper than during a weekend. Health Insurance: questions regarding health insurance are best directed to Social Counselling. Liability Insurance: is a sound investment. It is sometimes a prerequisite for rental agreements. The cost is quite low with an average of 40 € per year. If you are looking to travel outside of Hessen you should also check the bus companies. Their prices are often far below the prices for long train rides. if you are using the Deutsche Bahn often, you should think about getting a BahnCard. The BahnCard is also cheaper for students. there are also special prices for students. Some online research is definitely useful. the ULB and the Stadtbibliothek havea lot of newspapers (daily and subject oriented). They cannot be taken out, but are freely available inside of the libraries. There are also offers regarding ebooks and other media. You have got some great advice for local discounts or vouchers that more students should know about?